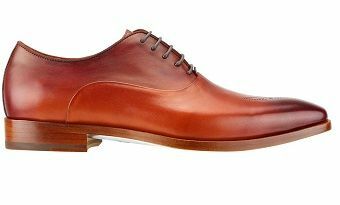 This lace up dress shoe from Steven Land is the epitome of style. The earth tone rust faded color style makes the shoe look even richer than it already is. This shoe will give your clothes their own unique style and will look great with any outfit. Made of fine quality leather.